Replacement uPVC Windows and Doors have never been so affordable thanks to Victory Windows and our top installations across the counties of Hampshire, Surrey and Sussex. Our range of stunning Double Glazed uPVC Windows are not only designed to look fantastic, but with thermal properties and security of the upmost important when it comes to Doubled Glazed uPVC Windows, it's no wonder that we're currently stocking the highest grade of product available in the country today. There are so many options when it comes to replacement Double Glazed uPVC Windows, at Victory, we put you in charge, allowing you to pick and choose the styles, colours and designs that you want whilst offering expert help and advice where it's needed. 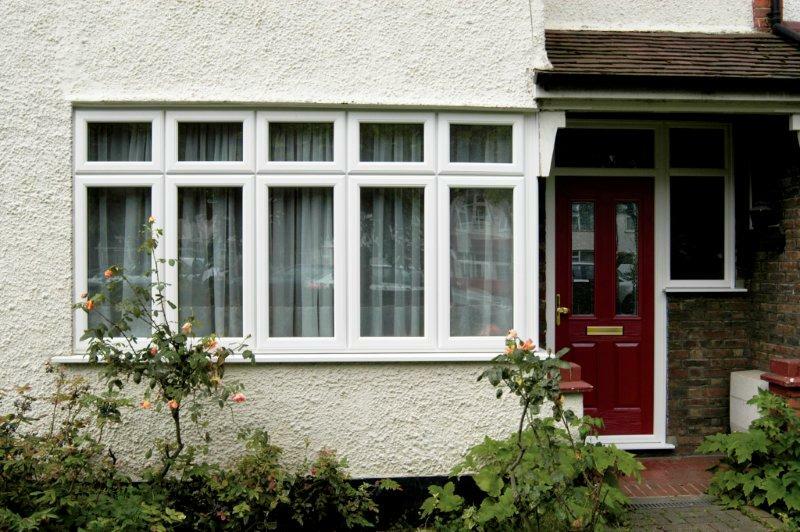 By understanding your requirements rather than trying to sell a product, Victory Windows will help you find your ideal Double Glazed uPVC Windows at a budget that suits you. No Gimmicks, No Games, just brilliant Double Glazed uPVC Windows at affordable prices. No two installations are ever the same and these days it's certainly not uncommon for our customers to choose different options in terms of appearence for Double Glazed Windows. Choose whether you would prefer ana authentic wood grain running through your new uPVC Double Glazed Windows or whether you'd prefer a basic foil finish. Choose from an array of colours, including Black, White, Rosewood, Irish Oak and Wood Grain, or if you have something totally different in mind, we can make your windows any colour that you would like! Decide whether you would like any decorative, patterned, obsecure, frosted or bevelled glass. Consider the amount of openings, the size of the profile and even the handles and various other furnitures available. Put our prices to the test with an Online Quote for Double Glazed uPVC Windows by clicking here and using our Double Glazing Price Calculator. Choose your styles, enter your measurements and recieve an instant online price, it really is as easy as that! At Victory we believe strongly that we should be helping our customers do their bit for the planet by upgrading your new uPVC Double Glazed Windows to Energy A-rated, free-of-charge. Helping you to save money and our environment at the same time. As well as the brilliant energy saving qualities of uPVC Windows, their unrivalled security, aesthetic appeal and even it's versatility there are loads more benefits to uPVC Windows than you might not know about. Firstly, there's no need to paint or regularly maintain your new Double Glazed uPVC Windows, unlike timber, uPVC won't rot, warp, bow, discolour or need any sort of regular maintainance. Our expert fitting teams are trained to the highest standard and have an incredible amount of experience whilst our office staff and company owner will always be on hand to help progress your enquiry in any way possible. To get your double glazing window quote or to speak to a member of our friendly team, call today on 02392 824006 or 02392 666 955 (outside of office hours), contact us here or get an Online Quote.